The leading data visualization components for desktop and web development in a single package. 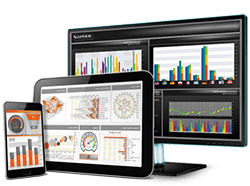 All you need to create advanced digital dashboards, reports, diagrams and MMI interfaces. The leading charting solution for desktop and web development. An advanced solution for any business intelligence, financial or scientific application. The perfect display of KPIs and real-time data inside desktop and web applications. 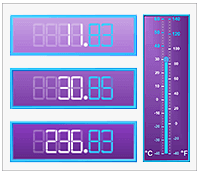 An ideal complement to any advanced digital dashboard, report or scientific application. 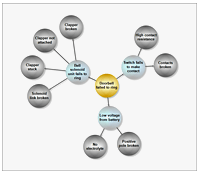 The industry leading diagramming framework for desktop and web development. 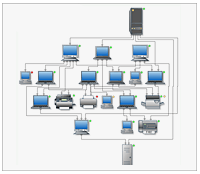 The right solution for any application that needs to display interactive flowcharts, diagrams and maps. 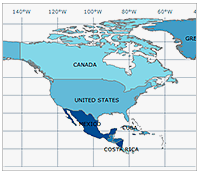 A diagram plugin that helps you get a global view of your data. 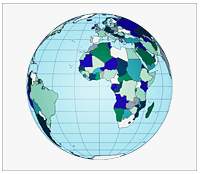 Perfect for creating desktop and web applications that analyze geographic data of any kind. 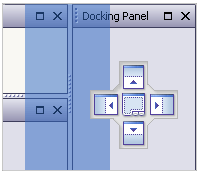 The complete WinForms controls toolkit for modern and fast presentation layer in .NET. Nevron Vision for .NET offers the most comprehensive set of components for building enterprise-grade data visualization applications that target both the web and the desktop. The components in this suite feature coherent 2D and 3D data visualization effects that have a great visual impact on the audience. We have also implemented a large set of data visualization techniques and innovations to maximize the clarity of the visualized data and to make it more comprehensive for the viewer. The components are built upon a common framework, thus minimizing the learning curve needed to get started with them as a whole. The common framework also ensures consistent features, performance, polished API and other benefits that are a product of over a decade of refinement. 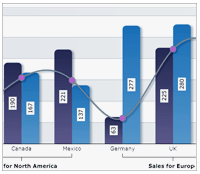 Nevron Chart for .NET is the industry leading charting solution for WinForms, WPF, ASP.NET and MVC application development. 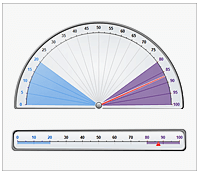 The chart control can display virtually any 2D, 3D Chart or Gauge with a superior quality. 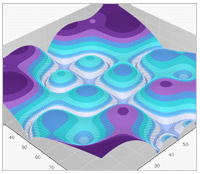 Packed with hundreds of intuitive examples (along with the source code) and many advanced features, Nevron Chart allows you to start quickly using no code at all. 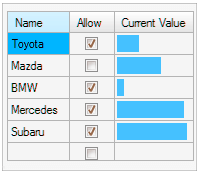 Nevron Chart for .NET is the preferred choice for any business, scientific, financial or presentational application, or even full-featured integrated Dashboards and Business Intelligence solutions. 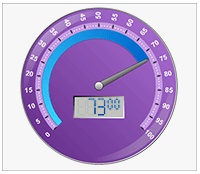 Nevron Gauge for .NET is suitable for any digital dashboard solution, desktop or web application, that needs to visualize KPIs, Scorecards and MMI interfaces. 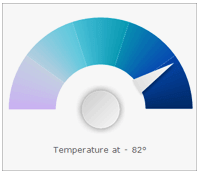 The Gauge for .NET features a complete set of Radial and Linear gauges, LED displays, State Indicators, Advanced Axes and stunning visual effects. 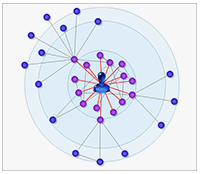 Nevron Diagram for .NET is helping you integrate and display sophisticated Diagrams and Maps in your .NET WinForms, ASP.NET and MVC applications. It is a complete diagramming solution packed with many interactivity features, shapes, automatic layouts, stunning visual effects and comes equipped with ready to use controls to boost your application development. Carefully crafted to meet different industry requirements, the Diagram provides unmatched extensibility options which will allow you to integrate the solution better into the context of your particular application. 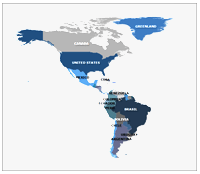 Part of Nevron Diagram Enterprise edition, the Map can help you with the integration of maps to visualize and annotate geographical data in your WinForms and ASP.NET applications. 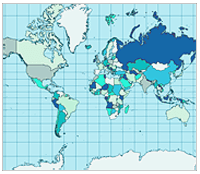 Nevron Map for .NET features full support for ESRI file format, 22 projection types, intelligent layer properties (show/hide layers based on zoom level), rules based styling, automatic naming and labeling of map elements, non-overlapping labels layout and many more. 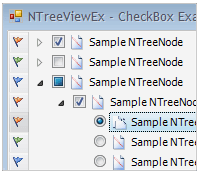 Nevron User Interface for .NET is the only suite on the market with such remarkable render quality and speed. Use of pluggable renderers and palettes leverages the simplicity and extensibility of all components. 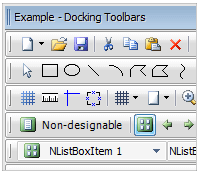 Explore a rich and powerful docking library, professional command bars and a set of extended Windows Forms controls designed to bring to your Windows Forms applications the latest GUI standards and technologies. The suite introduces lots of new custom controls, which makes it easy to create distinguished, stylish and modern end-user presentation layer. Nevron Consulting is a division of Nevron Software LLC, formed because of the growing need of Data Visualization and BI integration services for Nevron Software clients. The Complete Solutions services that we provide are focused on .NET development projects in which we have unique knowledge and know-how. As part of this service, we can deliver all project phases needed for a successful solution including: requirements analysis, design, development and maintenance. 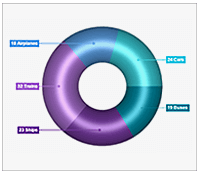 The quality of the graphics we produce with Nevron Chart greatly impresses everyone. While the software development department in our startup company consists of only five people, the fact that we can produce world-class graphics goes a long way towards convincing potential clients of our professionalism. I like to lead off the demonstrations that I provide for customers with one or more of the plots I generate with Nevron Chart. The quality of these graphics is so obvious and so arresting that they grab everyone's attention, and make sure that the people in the room are going to listen to whatever I have to say next. 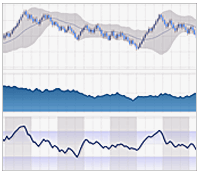 The Nevron Chart software is absolutely central to our software development efforts. The data analysis package that we've written uses graphics to tell the stories that lies behind the data, and the precision and user interactivity that we can achieve with the Nevron package enable us to tell those stories in a very compelling fashion. 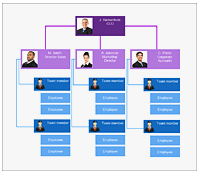 We have been using Nevron Chart as a central element in our software development efforts for the last three years, and we have no desire to switch to any other package. I've been consistently impressed with the robustness of the code, the range of the capabilities, and above all with the quality of the graphics since the time that I first started experimenting with this package. Graphical presentations have been a part of my scientific programming efforts for the last 20 years, and as far as I'm concerned there is no other package on the market that is better than Nevron Chart.